The HCG Diet Plan and Raspberry Ketone Diet Plan include free coaching and support to ensure you get your questions answered and the most from the Plans. Our Wellness and Diet Coaches have been trained in the HCG Diet and, most recently, our Raspberry Ketone Diet. We believe in customizing a diet and weight management program to help you obtain better, long lasting results and know the value of helping you build a good foundation of health with a comprehensive system and custom nutritional supplements. Our Coaches go through rigorous training well before they receive the coveted designation as a Certified Diet Coach. They begin with an initial core training series including modules on detoxification, weight management and better over all health. This is then followed by a Certification exam and additional trainings pertaining to specific product knowledge and handling challenging diet cases. After successfully completing the additional modules, they then attend additional trainings specifically related to weight management, nutrition and better health. When we are asked why we require so much training, we respond, " There is more to a diet and weight management then most people realize and the dieter's long term success is our goal! "We have specialized in weight management and educating Health Care Practitioners how to adequately and correctly over see dieters since 2007. We trust, and you can too, that our Certified Trained Coaches are the best in the industry. 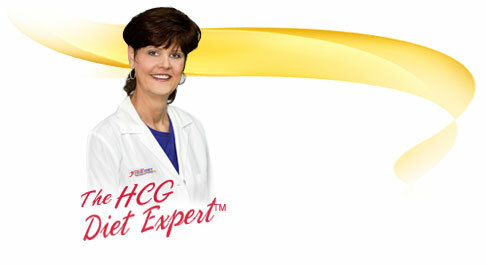 As Dr. Oz says, "do not do the HCG Diet without proper supervision of a Professional" and we agree. Get Started on one of the Diet Plans TODAY! Because we have specialized in the wellness industry and worked with clients since 1999, and then began focusing on the HCG Diet and other weight management plans and systems in 2007, we have a great deal of overall and specialized experience. Through this time, we have developed our own formulas, nutritional supplements, skincare products and systems. We recognize the results many people get with diets such as The Zone®; the Adkins Diet®; Weight Watchers®; Jeanny Craig® and Nutri-System® types of diets; LA Weight Loss; the hCG diet; the Raspberry Ketone Diet; and diet and exercise; as well as diets designed to eliminate the appetite using appetite suppressants. We also feel we know all too well if there are or are not any dangers to watch out for with any of these diets and which do and do not provide long term success. We also know the need for and we offer an entire diet system. We are confident you will find the HCG Diet kits, support products and coaching the perfect match to help you obtain your weight loss goals! We have been helping HCG Dieters and other Dieters get results since 2007 and are looking forward to helping you too!